Ever since I can remember, I’ve always had this unspoken fascination with bubble wrap. I derive an undeniable sense of satisfaction and calm whenever I pop those tiny air bubbles. 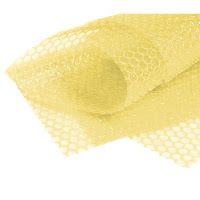 This fetish of sorts has even compelled me to Google “bubble wrap,” and visit http://www.kitepackaging.co.uk/mcp/bubble-wrap/. It’s interesting to learn so much about a seemingly unimpressionable object which gives you sheer and inexplicable pleasure. But this post is hardly about bubble wrap or packaging implements. It’s about living in the present moment. For me, being wholly absorbed in the here and now is akin to popping bubble wrap. The activity keeps me preoccupied and effectively annihilates any negative thoughts, or unnecessary worries about the future. It keeps me grounded on the present moment. What exactly does living in the moment mean? It simply means, being fully immersed in the task at hand. Whether you’re exercising or talking to somebody, living in the present means not thinking about anything or anybody else while you’re busy doing something. Psychologists say that when we live in the moment, we end up happier. On the other hand, when we spend our time daydreaming or thinking about the future – even if it’s positive – that inevitably tends to make us feel miserable. When our minds wander, that sets us up for fear, disappointment, regret. We become unproductive and ultimately, unhappy. But with a million and one pressures and demands caving us in everyday, we may feel that living in the moment is such a herculean task. It’s probably as difficult as getting Kim Kardashian to stay home on a Saturday night! But if we are truly bent on being happy, that shouldn’t be so difficult. 1. Practice mindfulness. To be able to really live in the present moment, we should learn to practice mindfulness. When we become mindful of the present, we realize that we are detached from our thoughts. They are not us, and we are not defined by them. The art of mindfulness involves observing your thoughts, and not letting them rule you. 2. Breathe. Whenever you feel a worry attack coming on, just breathe. This may seem easier said than done, but it is doable. Simply breathe in, breathe out. Allow your senses to take in everything around you. Smell the scent of freshly baked bread, listen to the sound of your neighbor’s constant bickering. Practice makes perfect, even when it comes to achieving true happiness. If we keep taking baby steps towards living in the moment, we will eventually get there.